The challenging Dhaulagiri Circuit & Dhampus Peak Climb explores some of Nepal's most remote rural landscapes, journeying far from the beaten track and usual tourist trekking trails. From the lush green fields and subsistence farms of rural Nepal through to the arid, barren alpine landscapes of the high Himalaya, this expedition has it all, including a two night stay with the AC expedition team at Dhaulagiri Base Camp. We then climb the 6,012m Dhampus Peak, which offers spectaular views across the valley to the Annapurna's and the peaks of the Dhaulagiri Range. It is a challenging, camping based trek, suitable for experienced trekkers, and those seeking an easy but remote Himalayan climb. This is expedition constitutes a challenging and adventurous camping-based trek into a remote and unspoilt corner of Nepal. Dhaulagiri is the highest mountain completely within Nepal hence the circumnavigation delivers an all-encompassing perspective of the environment and those who live around it. We initiate the journey at low altitude then ascend through a wide range of cultural and temperate zones in a region that sees minimal contact with the outside world. Agriculture and horticulture give way to dense untouched forests through to extreme mountain-scape as we travel around the mighty behemoth of Dhaulagiri, the 'White Mountain'. After several days negotiating steep and exposed trails connecting small hamlets of authentic Nepal, we are confronted by the bulk of Dhaulagiri and we continue onwards to Dhaulagiri Base Camp where expedition climbers position themselves to tackle this peak that is the world’s seventh highest. The trekking route then takes us higher still, over 5,360m/17,585ft French Pass where the uphill journey culminates in an ascent of Dhampus Peak. There is much that is compelling about this trek that qualifies it as one of the most fascinating and rewarding in the Himalaya. The Trip Notes provide detailed information and background for Adventure Consultants' treks and expeditions. For this trip we will take a maximum of 12 people, hence spaces are limited. We employ strong and specialised Expedition Leaders and Sherpa staff, who are some of the most pre-eminent in the industry. We pride ourselves on operating with small teams, with the best back-up and support available. Trek team members will be provided with pre-trip medical advice and a medical questionnaire and asked to visit their family physician to receive a full medical examination. This information will be sighted only by the trek leader and our medical adviser and treated with full confidentiality. See our Fitness Training Programs for information on how we can help you ensure you are fit and physically prepared for the expedition. A robust acclimatisation program has been incorporated into our itinerary to allow the best opportunity for our body to adjust to the reduced atmospheric pressure when travelling high in the Himalayan Mountains. We have included rest days at the relevant elevations to allow our bodies to adjust to the thin air and we carry sufficient medication to deal with most altitude related problems. Experience has shown us that good hydration, rest days at significant elevations and good base fitness help avoid any significant problems during this expedition. We include 'active' rest days as part of our acclimatisation programme. By taking a gentle walk on rest days to a slightly higher elevation we exercise the principle of ‘climbing high, sleeping low’, which aids our acclimatisation greatly. This tent-based trip is supported by our capable cooks who provide wholesome meals while your guides lead you safely on the trek. Food will be of the highest standard possible, given the remoteness of the situation. Please inform us if you have any special dietary requirements. Once in the Dhaulagiri area during the trek, we will be staying and dining in tents. We will be eating in the Adventure Consultants mess tent or dining rooms at camping sites. Our camping equipment and ample, nutritious meals are in excellent condition and of very high quality! Trek members will be sent a list detailing all necessary clothing and equipment to be individually provided. The trek members meet in Kathmandu, the capital of the Kingdom of Nepal. We are greeted at the airport by our Kathmandu representatives, who whisk you through the thriving city to your hotel. Once everybody has arrived we have a team meeting where introductions and the trip outline are completed. You will be briefed on the trip preparations and we can sort out any queries or questions you have. Your guide will advise you on good shopping and the better restaurants to visit while you are in the city. After an optional sight-seeing tour and familiarisation with the layout of Kathmandu, you are free to look around. There are plenty of shops and entertainment to suit all tastes. From excellent bookshops to mountain bike hire to souvenir shopping and bars, Kathmandu’s retail fraternity is waiting to meet you! We use a full day in Kathmandu completing gear checks to ensure you are adequately outfitted but there is no need to worry if you have forgotten anything, there are plenty of good outdoor shops in Kathmandu. Early the next morning, we fly to Pokhara, Nepal’s second largest city. From Pokhara, we drive to the trail head at Khara. Here we establish the first of our camp sites right next to the Myagdi Khola River that we will follow over the course of our trek until we cross the range to descend abruptly into the Kali Gandaki River. The trek itself lasts for 11 days from our departure from Khara until we return to civilisation when we descend into the delightful township of Marpha in the Kali Gandaki Valley. Trekkers will stay in high-quality mountain tents on a twin share basis. Delicious breakfast and dinners will be served in our well-appointed dining tent that is adorned with tables and comfortable chairs. Cooked lunches will be served at an allocated stopping point each day to ensure you are well nourished and energised for the rigours of the hike each day. The trail at the outset follows the steep sides of the Myagdi Khola River, often zigzagging up to narrow paths with precipitous exposure. While the trails are well formed and are suitable for mules to transport local produce, this would be considered to be an advanced trekking route due to the exposed nature of the route. We advise that previous trekking experience and a head for heights is essential. The trekking days are moderately strenuous in nature. The trek up to Dhaulagiri Base Camp will involve walking around six hours each day, but there will be a couple of long days towards the end and during the ascent of Dhampus Peak at the high point of the trek. We have scheduled two days for rest and acclimatisation at Dhaulagiri base camp which sits at 4,700 metres above sea level. Expedition teams from around the world will be in residence at base camp where they will utilise the camp to stage their climbs and rest up between rotations on the mountain. We will spend our time here taking short acclimatisation hikes and maximising rest and recuperation to prepare us for the adventures ahead. Feeling the benefits of the rest from our nights at base camp we embark on the ascent to French Pass at 5,360 metres. We trek across glacial moraine towards the head of the valley then make the long climb to the apex of the pass that delivers spectacular views of the Dhaulagiri massif. We then drop down the other side into the `Hidden Valley’ where we establish camp at 5,140m. The next day we rise early to make the climb up snow slopes to Dhampus Pass (5,240m) that is the final high point on the trek before we descend abruptly into the Kali Gandaki Valley. For those with the resolve who want to stand on the summit of a Himalayan peak, we make the ascent of Dhampus Peak (6,012m) that sits directly above the pass. From atop you gain spectacular views of the Annapurna’s across the valley and the peaks of the Dhaulagiri Range. The journey now involves a long descent to the green pastures of Yak Kharka (4,430m) and the following morning to the delightful whitewashed township of Marpha. Marpha sports paved streets through narrow alleyways, cute shops and hotels. It is a picturesque scene due to the beautifully cultivated fields of apricot trees and cropping grains that surround this small hamlet. We drive the next day down the Kali Gandaki River back to Pokhara where we spend a night enjoying this thriving tourist town on the shores of Fewa Lake. Next day we return to Kathmandu for a final celebration before saying good bye to our fellow trekkers. We place a lot of emphasis on maintaining good health to ensure we get the most from our trekking experience. A trek of this nature involves exposure to the effects of high altitude which we prepare for by use of a trekking program that encourages healthy acclimatisation. 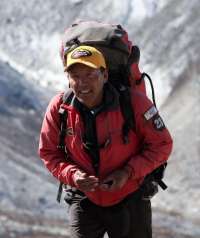 In general, a fit and healthy person will adapt to the altitudes encountered on this trek and our guides are experienced in the techniques required to enhance acclimatisation and address any altitude issues should they arise. Our itinerary includes rest days at the relevant elevations to allow our bodies to adjust to the thin air and we carry sufficient medication to deal with most altitude related problems. Experience has shown us that good hydration, rest days at significant elevations and good base fitness help avoid any significant problems during this trek. The following is to serve as a helpful guideline on our Himalayan Trekking Peaks Expeditions. Please feel free to contact us if you have any further questions as our team is here to help! We are renowned for the quality of service and strategy applied to our expeditions. Our reputation is attributed to the meticulous planning and logistics coordination provided by our head office. Once on the ground in Nepal, you can expect to be well looked after by our guides so that you can relax and enjoy trekking and climbing in this amazing country. Our climbers usually stay at the Hotel Radisson in Kathmandu, which is only a 15-minute walk from the tourist centre of Thamel. The Radisson is situated in a quiet location and boasts a fitness centre, sauna and steam room, three restaurants, a bar, café and a rooftop swimming pool! A perfect place to begin and end your trip. Hot showers are available in some of the lodges during the trekking phase for a small fee. We advise people to bring wet-wipes for the impromptu wash in between available showers and some lodges also provide a laundry service for a small fee. Please note that on the Dhaulagiri Circuit and Dhampus Peak, there are generally no showers available, although a bowl of hot water will be available for washing on most days. Most days also start with a 'hot face towel' delivered to your tent or dining table. Likewise, no laundry facilities are available due to the lack of drying opportunities. You’ll get breakfast, lunch, dinner and snacks, plus ample hot and cold drinks. We can cater for vegetarians as well as many other special diets as long as we are informed of this prior to the trip. All of our expeditions provide excellent local and Western food! If you have any special treat you like, we encourage you to bring some along. When staying in the lodges, expect hearty food like yak steak, local favourites such as dal bhat and Western-style dishes such as pizza. When in camp, our well-trained cooks prepare high-quality Western food as well as popular local dishes and we usually bring a few treats from New Zealand such as Kiwi bacon, cheese and salami, fresh coffee and yoghurt. Once on the mountain, we typically focus on MREs (Meals Ready to Eat) which are real food, freeze-dried and vacuum sealed. Please indicate any specific dietary requirements you may have on your application form. We are happy to accommodate those with specific diets. We book tidy, clean and modern lodges using the best that are available in each village. They are well-known locations to us and we have a good relationship with the lodge owners. If you prefer, we can book private rooms for you at an added cost. Our standard trips are based on shared rooms, usually twin-share and sometimes triple-share. In camps, you will be sleeping in a high-quality mountain tent, shared with one other climber. You will be greeted each morning with a cup of bed tea, served by our smiling cook staff. Evening meals will be served in our comfortable dining tent. A single supplement is available – please contact our office to enquire. No, our trip programmes all have an arrival day and a departure day built into them. You are welcome, and encouraged, to arrive a bit earlier to explore Kathmandu, if you have the time. Before your expedition you will receive a “final details” letter and this will let you know the time and place to meet your guides. An AC representative will meet you at the airport and the first of many team briefings will take place on the evening of Day One. Please do not book to depart before the scheduled final trip itinerary day. 'E' tickets are the standard practice these days. Do ensure you print your itinerary and have your booking number with you, as this allows our local agents to assist with changing your return flight plans if need be, while you are in the mountains. Generally, we ask you to wait until your expedition's balance payment date to ensure your trip has met the minimum numbers and will operate. If you see a good deal and want to book your flights, then ensure you can make changes to your tickets or you run the risk of losing your ticket if we do have to cancel the trip. You should fly into Kathmandu International Airport (KTM) and an Adventure Consultants guide or representative will be there to pick you up off your flight. Even if you are arriving before the scheduled trip start date, we can often still make arrangements for a pick up. Adventure Consultants can make reservations for you and can often make recommendations for attractions to enjoy while waiting for your trip to begin. Please let our office know your specific plans as we love to pass on Kathmandu sightseeing tips. Yes. For most nationalities, a visa can either be obtained on arrival into Kathmandu or can be issued online prior through Nepal's online system. Be sure to have the suggested USD amount in cash for your visa application and have a passport photo for your arrival in Kathmandu. Currently, a 40-day visa costs $40 and 90-day visa costs US$100. Once we have received your application, we will email out your Reference Notes which include detailed equipment lists. Any questions you have after reading through this can be directed to our designated Equipment Coordinator, who can assist you by recommending and sourcing a range of suitable clothing and equipment via our gear retail service. This will be clearly stated in your recommended gear list. It will depend on where you are going, but in general you will need a sleeping bag warm enough for you in conditions that can be as cold as -15°C. Blankets are generally not available so pay careful attention to the bags we recommend. We suggest buying a sleeping bag big enough to allow you to wear extra clothes in if it is especially cold. Sleeping in a warm hat can also greatly improve a bag's warmth. Most of our expeditions take oxygen as a medical backup and we also take PACs (Personal Altitude Chambers) with us. A trekker or climber with mountain sickness is placed inside the chamber and it is inflated around them. It increases the air pressure and any altitude related illness is usually immediately fixed. The climber then feels better and can usually walk down to lower elevations to recover. All our guides carry extensive medical kits including various medications for altitude illness. If you have a previous history of altitude illness then discuss this with us and your physician, otherwise there should be no need to take preventative medication before or during your trip. You need to bring any medications you regularly use (don’t forget to tell us about them), plus extras. Also bring a small first aid kit including a blister kit and mild headache medication for the normal altitude headaches. You will carry your day pack with warm clothes, water, snacks, sun block, camera and whatever else you need for the day. Generally, it will be light, 5 -10kgs/10-20lbs. On summit day(s), you will add your down jacket, technical climbing gear (which you will be wearing most of the time) and heavier gloves. Our climbers come from a wide variety of backgrounds, interests, countries and skill levels, ranging from those seeking skill development to those seeking assistance with the world's highest mountains, or purely adventure. We provide courses, expeditions, treks and guided ascents for all levels of outdoor enthusiasts. We cannot recommend enough being fit prior to the expedition as this will make all the difference to your enjoyment and success. Focus on pack carrying on steep and varied terrain, aiming to carry 5-10% more than the maximum expedition pack weight you will carry (approximately 10-15kg/20-30lbs). Endurance training is also important as you will have to be able to trek, carrying a light pack for 4-6 hours on most days. Summit day(s) can be 10-14 hours long, so do fit some longer days into your training also. Add back-to-back days of pack carrying in the weeks and months prior to your departure. This can be in the form of overnight backpacking or with the first day on stairs or in the gym, building up to the maximum altitude gain required on summit day (check your itinerary for this information), and a second day of flatter, outdoor walking with a lighter pack. Will there be any access to a satellite phone? If so, what will be the charges for usage? Will there be any power source for charging batteries, etc. available throughout the expedition? Many of the lodges have power available with typical Asian plugs (two horizontal prongs) and offer recharging for a fee. We can cater for special power requirements at an extra cost or advise on the purchase of a suitable personal solar charging system - please enquire with our office. On all of our international expeditions, you will require insurance to cover any personal or medical mishaps that may occur before or during the expedition. Click here for more information on expedition insurance. Coverage varies based on your nationality and the trip that you are taking with us. When you have booked on a trip with us, we will send you comprehensive information on various insurance options which will serve as a good starting point for obtaining the best coverage. We recommend the purchase of trip cancellation insurance to all our expedition and trek members. You should purchase the insurance upon sign up for your expedition or at the very least when you pay the balance payment. It is very important to buy trip cancellation insurance (in addition to your evacuation and comprehensive travel insurance) as it is not unknown for people to have unforeseen circumstances that force them to cancel their trips for reasons such as family illness and injury to self, etc.. Yes, our images are available for licensing or purchase and please contact our office for more information. There is an extensive section in our reference notes, which are emailed out upon receipt of your trip deposit, explaining about photography in the mountains.